The new project was released last week Friday and has been getting rave reviews from dancehall fans. This marks the second time that Beenie and Bounty, who were once arch rivals, have collaborated. The two dancehall giant previously worked together on the single “Legendary” which was also a huge hit. “Informa call me name to police / The war is on there will be no peace / Everything done oil up and grease / We no fear the enemy them a the least,” Beenie Man deejay over a dancehall beat. 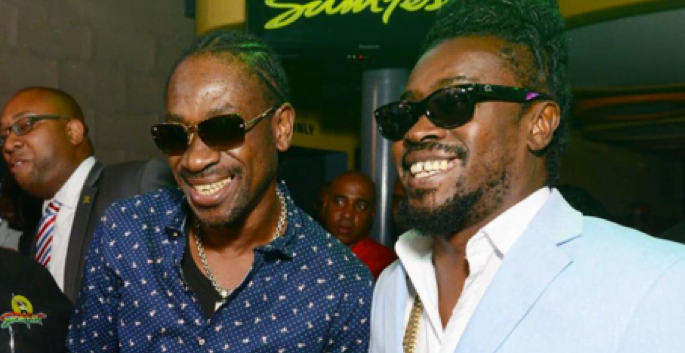 Other artists featured on Beenie Man’s new album includes Agent Sasco, Sizzla Kalonji, Christopher Martin and more. Listen to the track “Blue Light” below. On Tuesday news surfaced online claiming that Beenie Man is dead. Sources close to the dancehall legend told us that those reports are completely false but disturbing.